Former Microsoft CEO does a good deed by putting civic facts on the table. I’m glad to see Steve Ballmer’s effort to gather government data and package it in ways that will make it easier for people to understand what government does with their money. The project, USAFacts, was unveiled Tuesday. It’s an ambitious work in progress paid for by the former Microsoft CEO, which involves gathering information from all levels of government into databases and reports that are nonpartisan and designed to be more user-friendly than the original sources. The website makes it easy to see where government gets money, where it spends that money and what those efforts accomplish, along with demographic information about the country that helps put the financial part into perspective. We need something like this. Americans are inundated with information, but much of it is difficult to understand or is distorted for political or economic reasons. Political fights make it hard to appreciate what’s good in the country and in government because they too often exaggerate what’s wrong. In order to make good civic decisions, people need to know where the problems are and what’s working, too. Ballmer’s project promises to be another tool for people who want to make those decisions for themselves. The idea was born the way a lot of good ideas emerge, to satisfy an unfulfilled need. 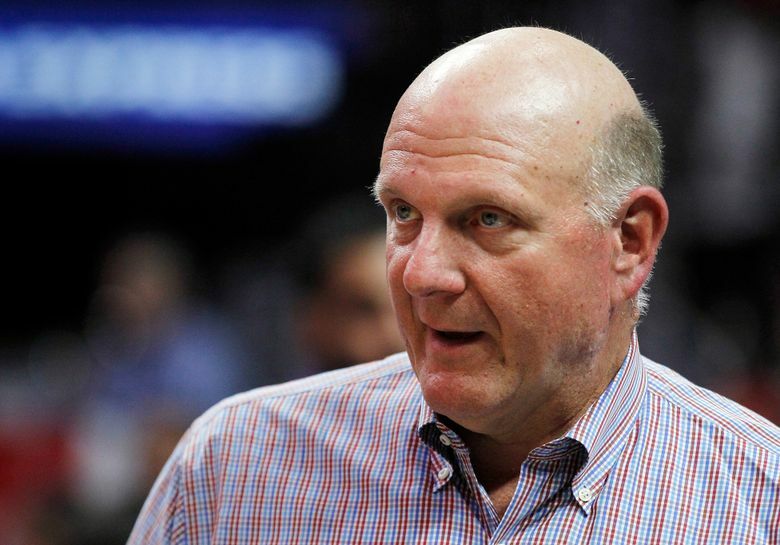 Ballmer has said he was looking for information that would help him identify areas where his wealth could make a difference, but he had trouble finding data that should be easily available to any informed citizen. I rummaged through some of the USAFacts reports and saw a lot that related to politically misused issues where debate would benefit from better access to the facts. Take crime. Some politicians get votes by exaggerating crime rates and persuading fearful voters that if elected, they will clamp down on rampaging criminals. The tactic relies on people believing crime is much worse than it really is. But the data show that rates of reported crimes, both property crimes and violent crimes, have been going down since a spike in the 1990s. Maybe a few more people will believe the data if it doesn’t come from media outlets or politicians they mistrust. I also liked the way Ballmer’s team organized the data, taking complex government structures and functions and reducing them to the core expectations of government as they are listed in the preamble to the Constitution. Viewing taxes, spending and outcomes through those lenses makes government feel less foreign and clarifies the necessity of it. Americans have always argued about the size and scope of government, but to oppose any government is to misunderstand why we have one in the first place. Millions of people come to this country from nations that lack the government we have, one that can help its citizens thrive. It is an imperfect government, but it doesn’t deserve being demonized the way it has been by many politicians. In the past few weeks, we’ve seen multiple federal agencies assigned leaders who don’t believe in the missions of the agencies or the value of the people who work in them. How helpful is that likely to be? We’re headed toward Earth Day with former Texas Gov. Rick Perry running the Energy Department, which he once proposed getting rid of, and Scott Pruitt, a friend of the fossil-fuel industry in charge of the Environmental Protection Agency. The data show the two agencies are being watchful of the environment while allowing the country’s energy needs to be met. Isn’t it good that emissions that affect air quality have steadily declined for decades? And energy production is climbing, too. Ballmer isn’t lobbying for any particular position with this new project, but I do believe if people have a better understanding of the country and of its government, our politics would look different. Citizens have a duty to complain about government when it’s inefficient, ineffective or in error. We also have a duty to base our judgments on the facts.